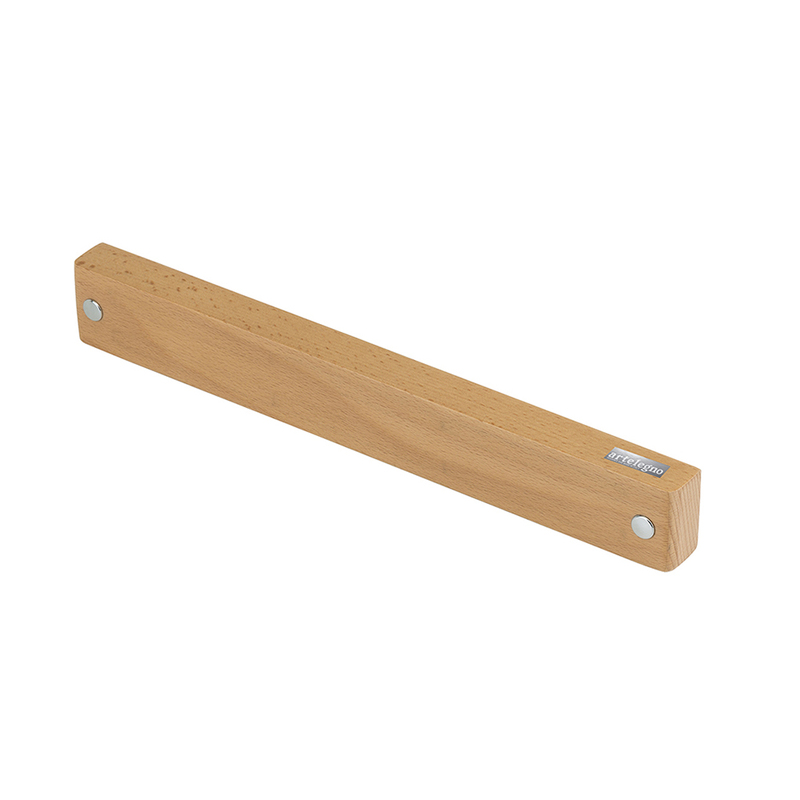 There are few ways to make any magnetized knife bar superior to the rest, but leave it to Italian stylists and design engineers to deliver one that truly stands out. 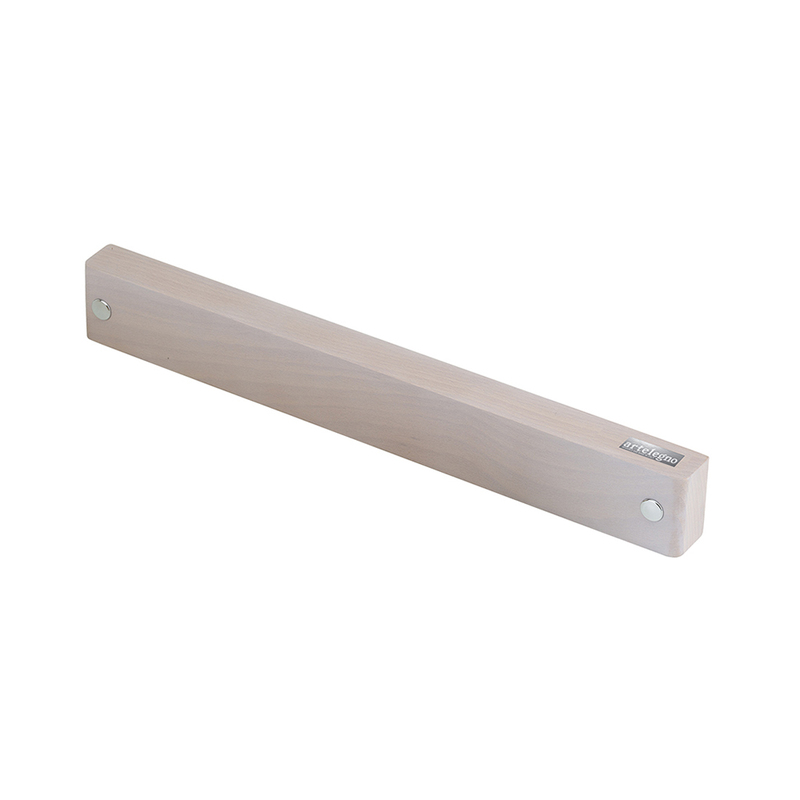 Artelegno’s model 49 magnetic wall bar delivers the functionality you expect from a hanging knife rack plus elegance you would never expect. It’s made of solid Beech wood cultivated in Europe and harvested in a sustainable manner to ensure that successive generations will have the same opportunity to experience such natural beauty as do we. It’s not just made for knives, of course. This attractive wall-mounted fixture is perfectly suitable for metal strainers, ladles and wisks. 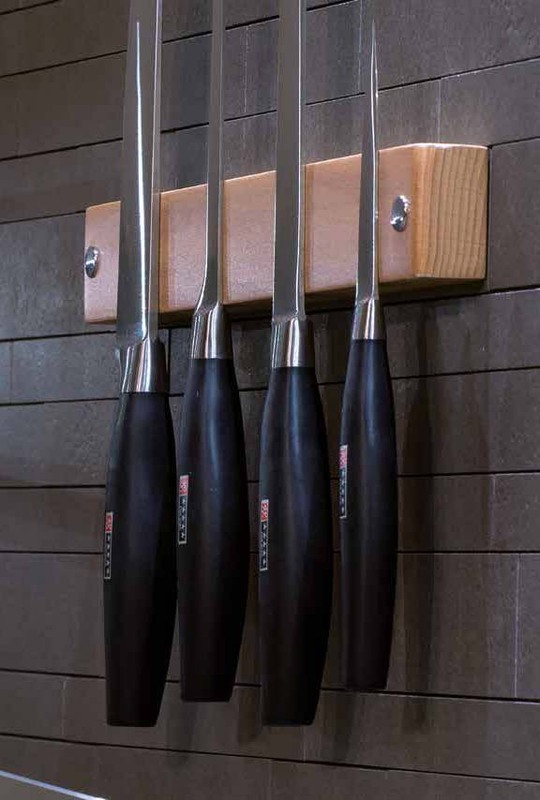 Whichever tools you keep near and dear to you, it’s likely they will fit nicely on the Artelegno 49 knife and utensil hanging bar.